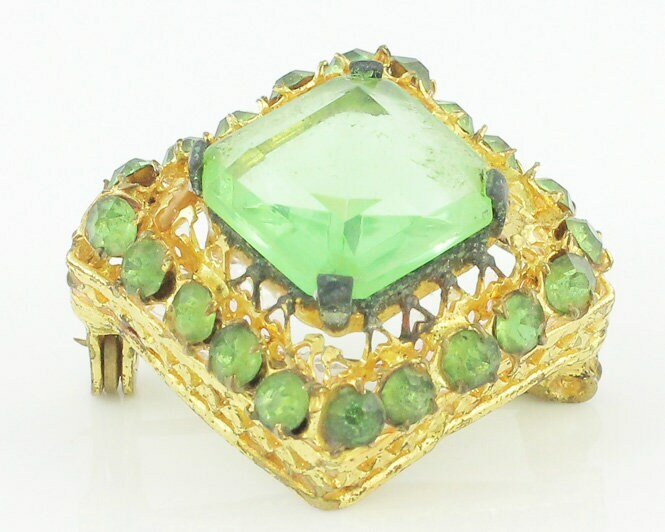 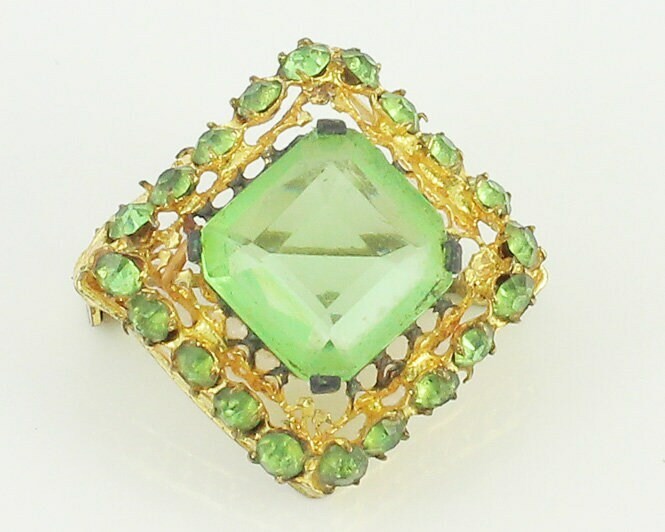 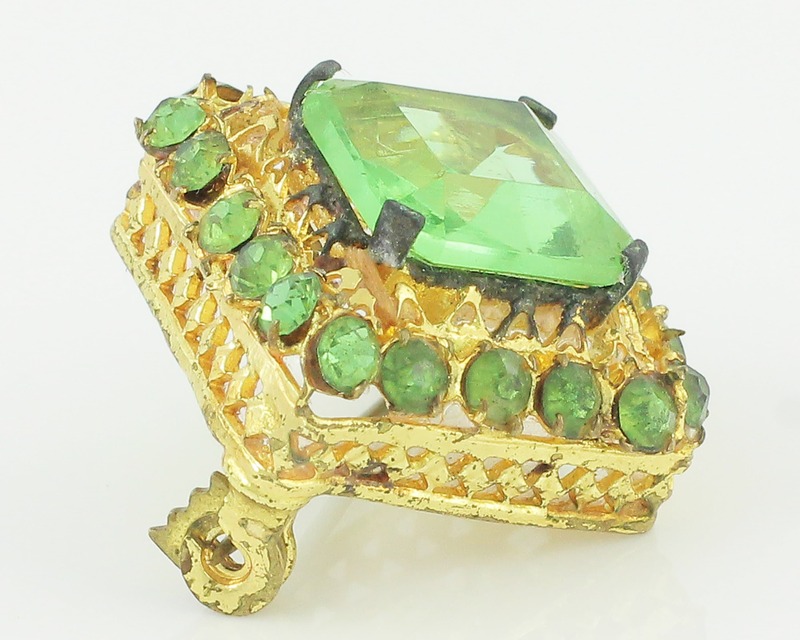 Art Deco Czechoslovakian Square Brooch of Gold Tone Filigree with Bright Green Stones. 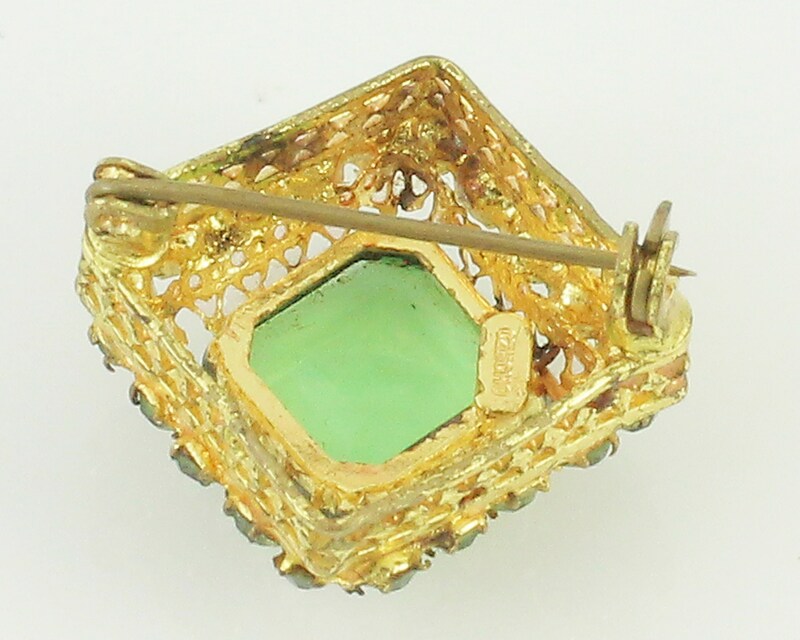 This petite square brooch is finished with a roll over safety clasp. 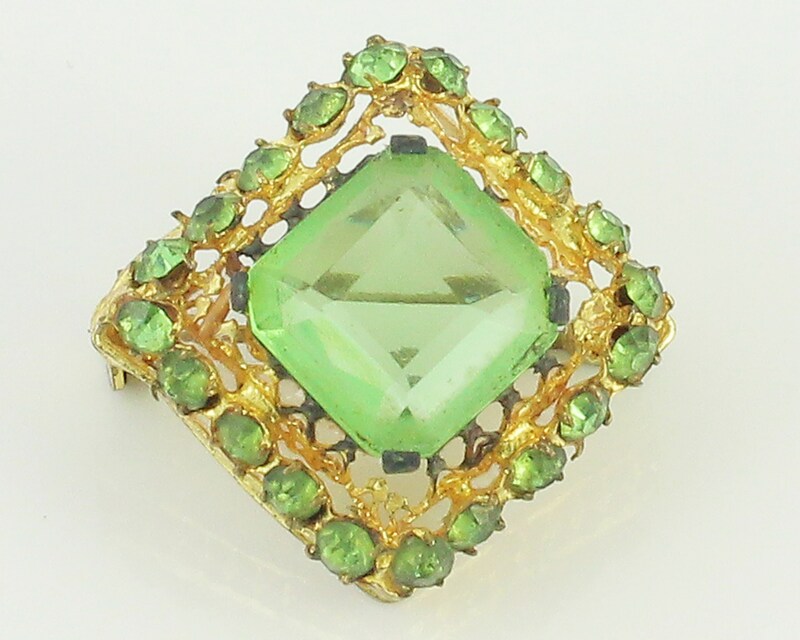 The pin has some discoloring around the stone bezel.